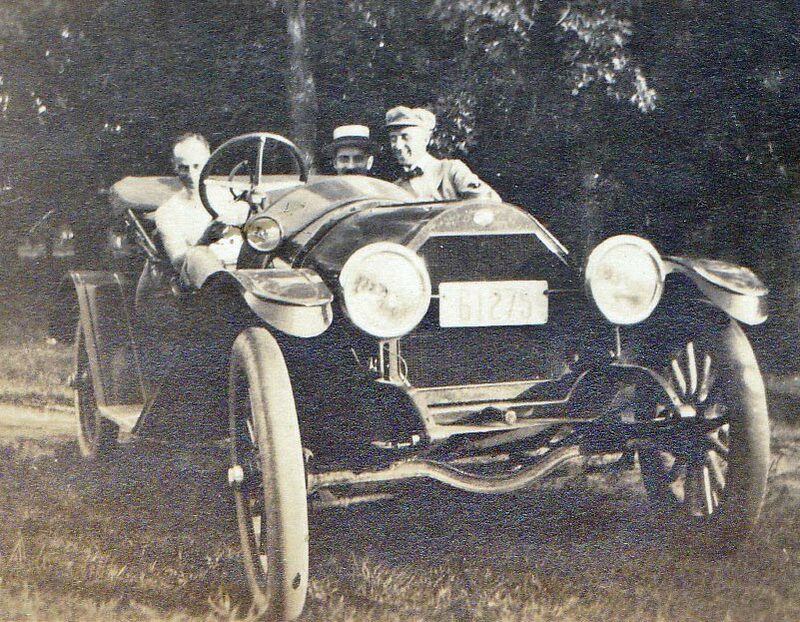 Vanderbilt Cup Races - Blog - Can You Identify Aunt Nell Patterson’s Automobile? Can You Identify Aunt Nell Patterson’s Automobile? Rog Patterson of Holly Hill, Florida has challenged VanderbiltCupRaces.com viewers to help identify his aunt's car. 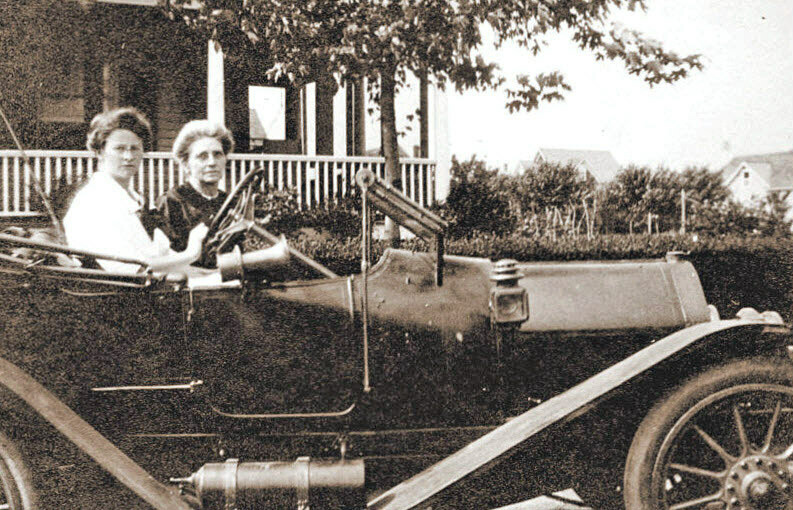 Rog Patterson: "An item in Hemmings Daily Newsletter prompts me to ask whether any of your readers can identify the car my Aunt Nell (Ella G. Patterson) used to drive around Long Island, NY, delivering welfare checks, Howard? That was part of her job as Assistant Welfare Commissioner for Nassau County and I'm told she kept a revolver under the seat to help assure safe delivery. This photo was probably taken in Mineola L.I. and the car looks to be pre-1920's. Getting in and out of the driver's seat must have been interesting to accomplish...and watch." Apparently those side lamps seen in this sepia photo were added after the B&W photo was taken. In later years, when I was around, she had a preference for Nash cars. Thanks for the great feedback! 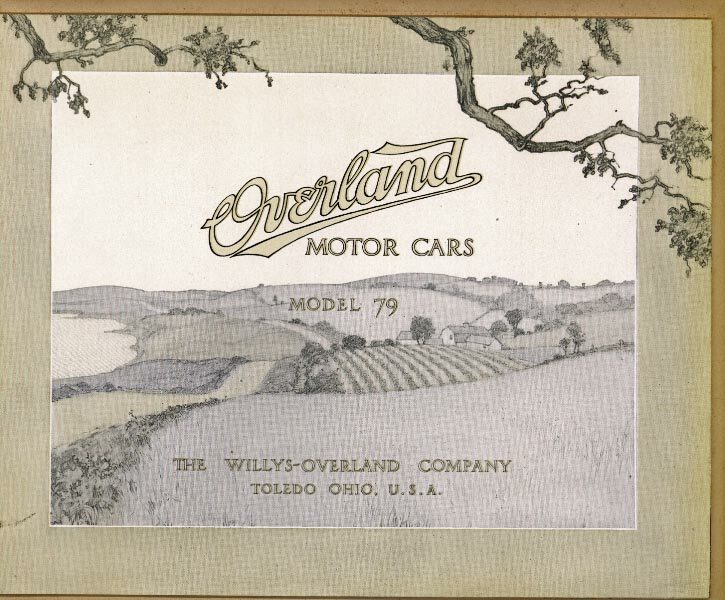 Based on the comments from Walter McCarthy, Stew Laidlaw, Alan Clendenen and Hugh Nutting, Aunt Nell's automobile was likely a 1912 Overland Model 69 Roadster. Restored cars for about 35 years as a business + 15 more as a hobby. I own a Glasspar that is the John Steers Ford Spl. built and SCCA raced 1955/56. If you type my name into a Yahoo or Google search there are other things. My father got me interested in Industrial History at a young age - he was a chemist who retired as Technical Information Director at Dow Chemical. My uncle was a mechanic trainee in 1919 in Boston. His dad was a RR engineer and friend of the Stanley twins + he remembered meeting Henry Leland when he was looking for Lincoln Dealerships for his new car. 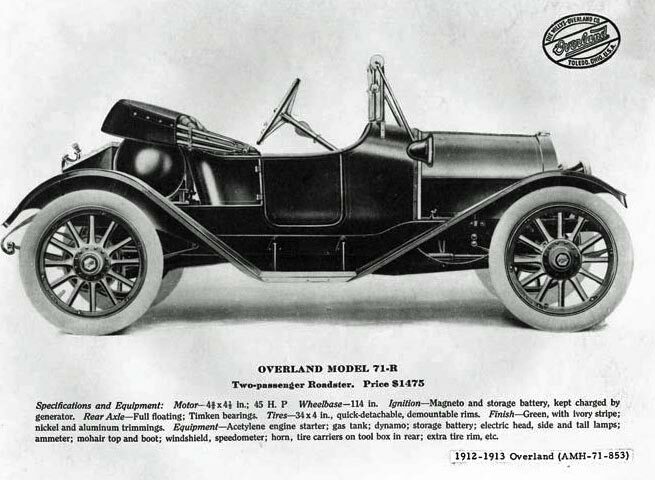 I am sure the Overland is a 1912 with the radiator shell painted to look like a newer car. 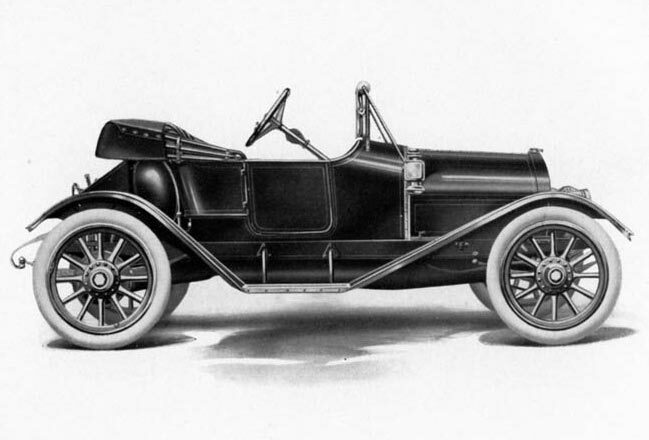 The 1912 Roadsters had a much more complicated door to make as does the one in your photo. Also the rear hubs got larger in 1913 for the bigger engine. I have worked on 1913,1914 and 1915 cars. The 1914 was a speedster. Note the simpler doors, larger rear hubs and painted radiator shell of the 1913 Model 69R. Many cars went to Black & Nickle in 1913 including Ford and Hupmobile, etc. A friend has a 1913 Touring and I think they made a mid-year change of the cowl. In this era car companies began installing front doors on the touring cars - they were called fore door models. 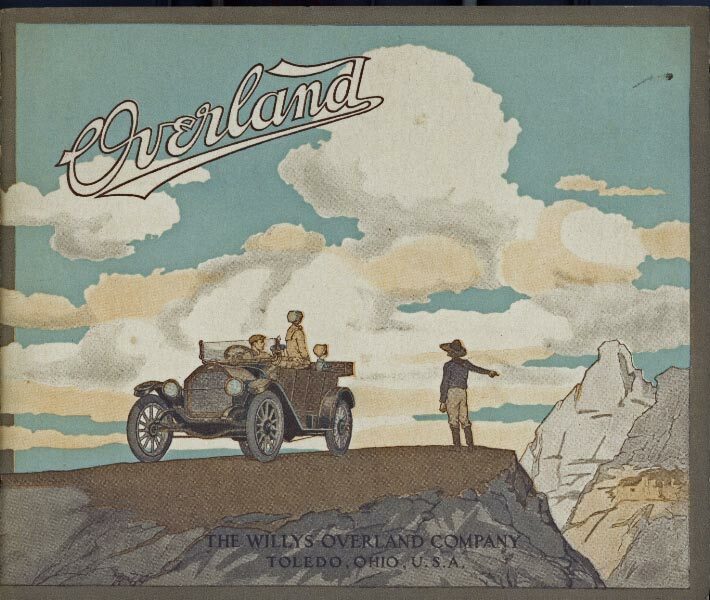 [not four] The Overlands were quite good cars in their early years. The speedsters were like a low-cost Mercer. -The 58R had a 94" wheel base and was likely built with leftover 1911 parts. 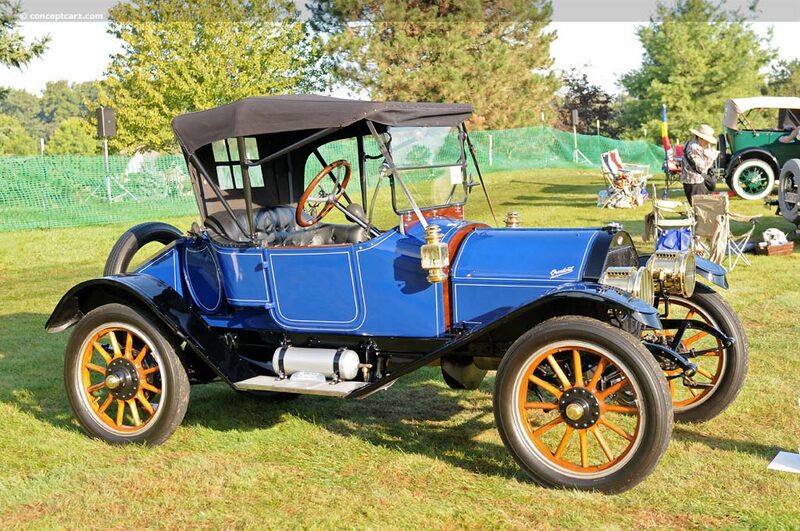 -The 59R in your pic had a 106" wheel base which was the main 1912 model. 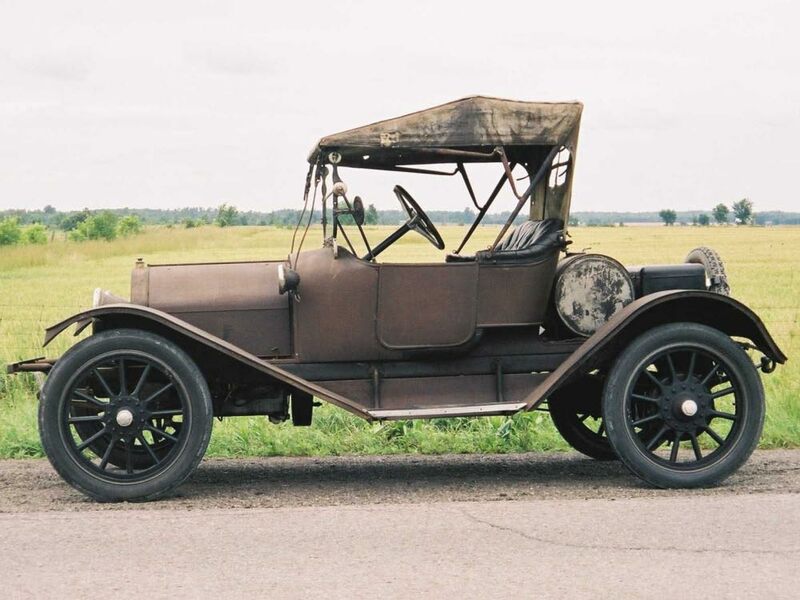 -The 71R was a 1912-13 model with a 114" wheel base. 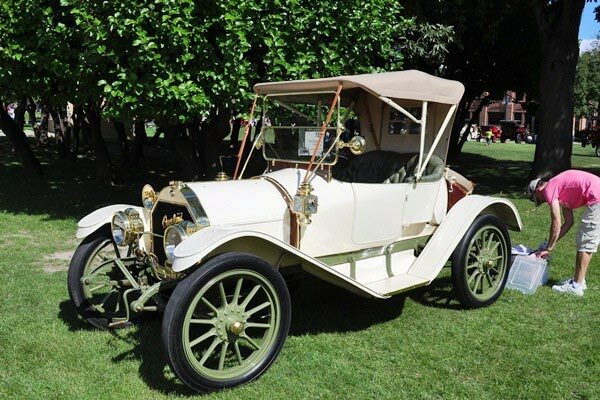 Many of its parts would b-e used on the 1914 79R, body, round gas tank and electric lights. The body looks to be the same as the 1913 69R, too. The electric lights are Gray-Davis as Cadilla used. Some of the car companies dated their models by their fiscal month date. This made for what now looks like 1/2 year model changes. Dodge Bros always brought their new cars out in June. The basic Overland 59,69 & 79 are logical - the rest are not. This is basically the replacement for the 1912 Model 59R. Most likely a 79S -late 1913 - electric lights may be an up-date or extra cost option. Note the electric lights on the 1914...body about the same as the 1913 69R. Old photos can be misleading. By the mid-teens brass cars were 'out' and many painted the brass parts black. In restoring my 1911 T I found things like a correct speedometers, etc painted black + plus the demand for brass during WWI finished off the use on cars. I was reading that by 1917, people with Brass Model T Fords were thought to be poor and often called 'yellow necks' . 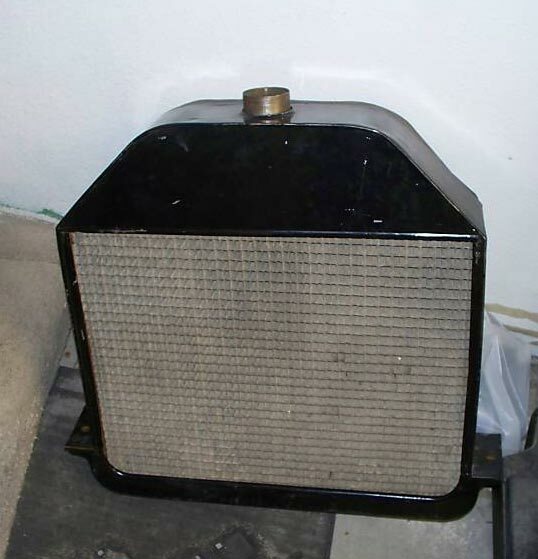 This after market steel radiator shell was made to up-date a brass T. It fits over the original brass radiator. I found one a few years ago here in Montana. Also few liked to polish brass as the cars got older. It’s a c. 1912 Overland. Howard. The car is a Model 69 Overland Rds. Looks a lot like a Cole 30 that my Dad had in the 1940’s. Sold, following persistent pleas, to a man named Cole! Wonder if it’s still around? Looks like a 1912 Overland 59R. There were 59Ts = touring and 59S speedsters, too. Likely the driver’s door does not open like on Model T Fords. I think the side lamps were removed for the top straps - think I see the brackets when the top is down. 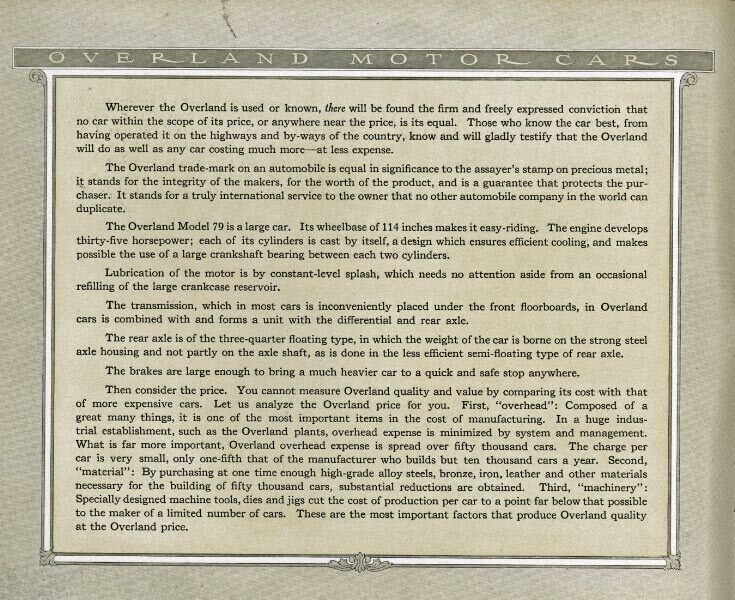 In those days Overland was one of the Big Three with Buick and Ford. ...on second thought It could be a 1913 69R as the radiator shell is painted. 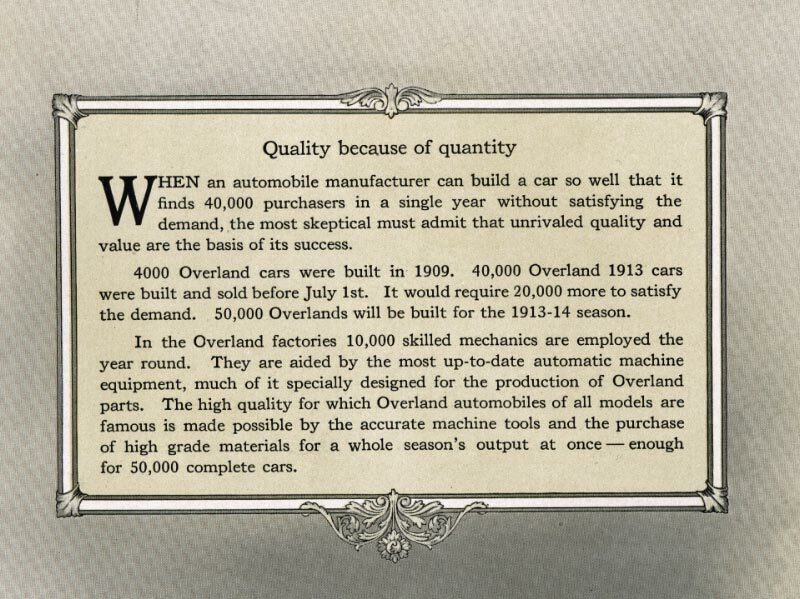 As I recall 1913 was the last full year of RHD Overlands. 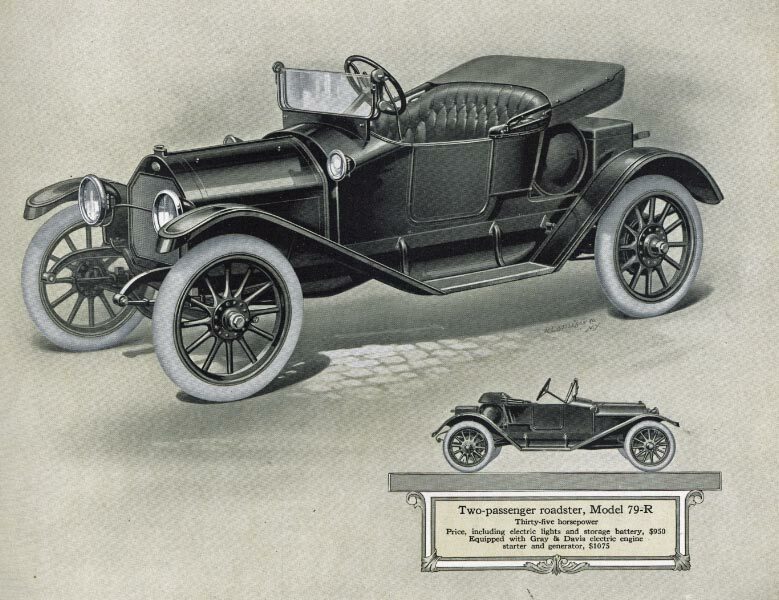 The 1912s are all Model 59 - her roadster is a 59R. 69 = 1913 & 79 is 1914. Thought I’d sent my thank-you to everyone who helped identify my Aunt Nell’s car, but apparently not. 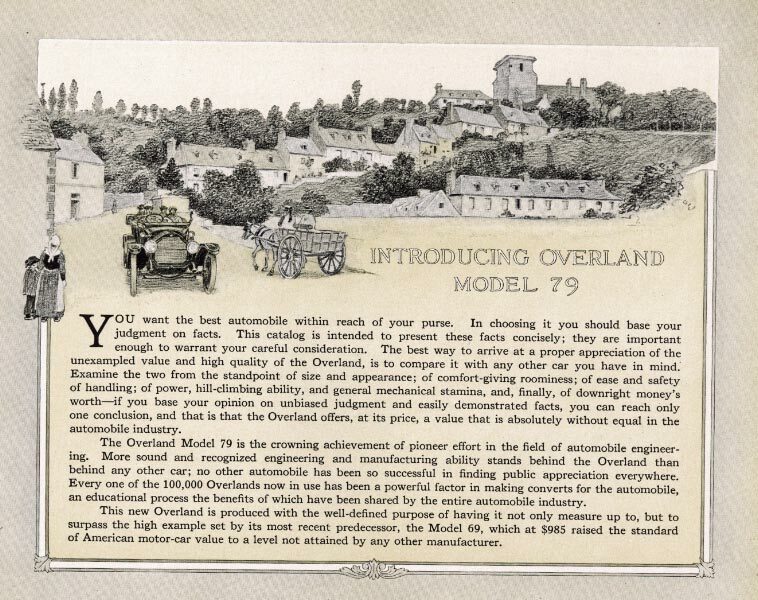 I appreciate the more-than-I-ever-expected-to-know response and enjoy the photo more knowing it’s a 1912 Overland. If you take a real close look at the 2 photos it looks as if she may have had it re-painted. The one with Nell in the driver’s seat looks like the radiator is un-polished brass and has a black wall tire up front. The photo in front of the house makes the 59R look to have a better paint job and a WW tire on the front. Signs of a ‘daily driver’ that was well kept up.